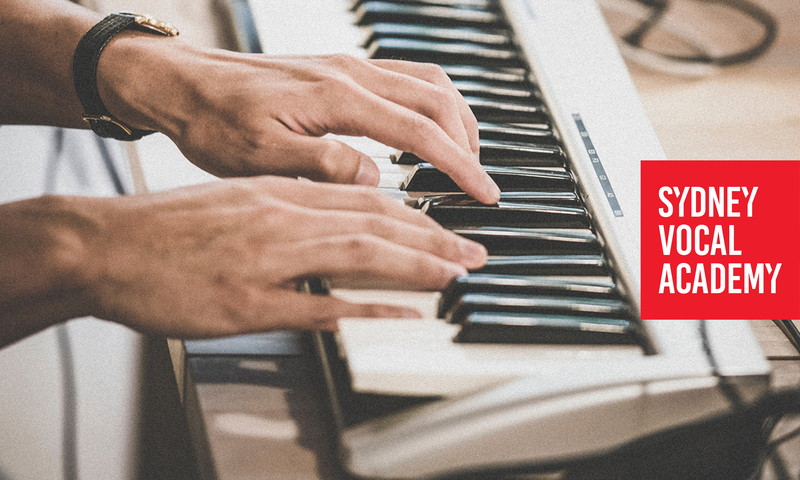 Historically, the more common experience of piano lessons was learning to play "the dots" - in other words, to learn to read fully written-out music that tells the performer exactly what notes to play, when to play them, and what expression and dynamics to use. Most adults today who learnt piano as children would have learnt this way. Repertoire might include classical music or arrangements of contemporary pop / musical theatre songs. There is an enormous body of work in the classical world and there are truly beautiful and breathtaking moments. I once learnt a whole Bach piece (it took several months) because I really loved 1 bar of it. It was magical and worth every minute of practice! Sometimes students believe they are learning to play contemporary piano, but they are actually playing fully-scored contemporary songs in a classical manner. This can give students many hours of enjoyment and develop their classical skills wonderfully, but it becomes problematic when wanting to accompany a contemporary singer or play in a band, because a fully-scored piano arrangement usually has the melody in the right hand, which is the singer's part and ideally shouldn't be doubled by the piano. If you play the melody line while accompanying a singer, they will usually turn around and tell you not to, because it's their part! Contemporary piano involves learning to play from a chord chart or lead sheet - the lyrics or melody of a song with chords written above it. Students may play songs in the genres of pop / rock / jazz / worship, and they develop the skills to create their part based on the chords. When you go to a pop/rock etc concert, this is how the band members are playing the songs. It requires an understanding not just of basic chords, but chord extensions like 7ths, 9ths, sus4 and sus2, altered chords, chord substitutions and more. If you want to play jazz, there's a whole extra layer of complexity on top of that. Students also need to develop skills in maintaining a tempo, creating interesting and appropriate rhythms, improvisation, and how to create interest and variation within a song. It's a lot to get your head around initially, as there are more choices to be made than in playing a scored part, but there's a huge amount of fun to be had once you've developed some basic contemporary skills. Musical theatre is a slightly different scenario again. The "official" piano part for a song is fully-scored, as the entire orchestral accompaniment is fully scored for the show so that it's the same every performance (in saying that, we are increasingly seeing improvisation creep into musical theatre parts). This part is not usually available to the general public but is provided when a show has been licensed. A commercially-available piano arrangement of a musical theatre song is often a "score reduction" - where an arranger has recreated a sense of the entire orchestral arrangement plus melody, into one piano part. Musical theatre piano arrangements are often very difficult and it would require many years of learning to be able to play them exactly as written. The inclusion of the melody line in the right hand also makes the arrangements problematic. For most singers who want to be able to self-accompany, the better option would be to play the song based on the chords that are usually written above the score - in other words, to take a contemporary approach to the music. Both classical and contemporary approaches have their merits, and the best choice for any given student really depends on what they would like to be able to do in the long term. For a singer, contemporary skills are vital in the long-term as only having classical skills will limit your ability to self-accompany. Ideally, a pianist would develop skills in both classical and contemporary piano, though often there simply isn't enough time for a student to cover both in depth. At SVA we are able to teach both styles, with our piano teachers having achieved a high level of proficiency in both classical and contemporary piano, and we talk with our students to determine what they would like to do. Exam-wise, AMEB Pianoforte* and AMEB Piano For Leisure are the appropriate choices for classical players, whereas AMEB Rockschool is excellent preparation for students who want to develop skills in note-reading (with contemporary repertoire), as well as the improvisation & ensemble skills relevant to playing in bands and accompanying singers. * Fun fact: the full name of the instrument we call the piano, is actually "pianoforte". Piano means "soft" in Italian and forte means "loud" - so this esteemed instrument that is seen as a sign of culture and sophistication, is really called the "soft-loud". It was given this name as it was the first keyboard instrument that could produce a range of dynamics, which was incredibly exciting and added a new dimension to keyboard music.